Happy Birthday to me! I'm turning 29 (yet again!) today, so can I make a special request for OWH birthday cards made from this sketch? Thanks! I think y'all will like this sketch, it's great for a big image! Reminders! 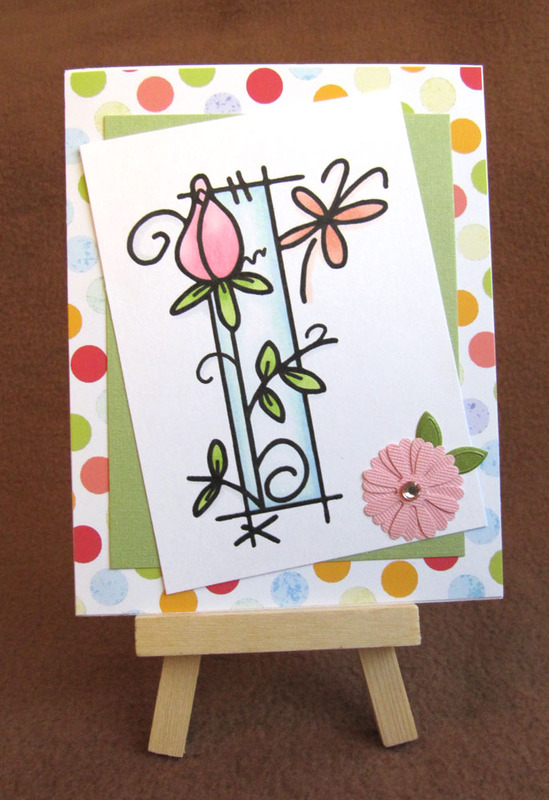 All OWH sketches are designed for A2 sized cards (4.25" x 5.5") and the heart shape indicates the embellishment of your choice, it does not have to be a heart. We have three great samples this week brought to us by Robin! Please leave some comments for Robin here as she isn't a blogger. Thanks so much for the adorable samples, Robin! Okay folks, you have your assignment! And extra imaginary bonus points if you make a birthday card! Happy birthday Julie! Hope you have a fab day. Wonderful samples, robin! That cowboy card is too sweet! Hope you have a beautiful birthday, Julie! Very nice sample cards, Robin. Julie, I wish you a very happy "forever"-29th birthday and many more to come. Thanks for your hosting great sketch challenges and Robin's wonderful cards. Thanks for the inspirationas! I needed that this morning especially for today's OWH Cardmaking Party. 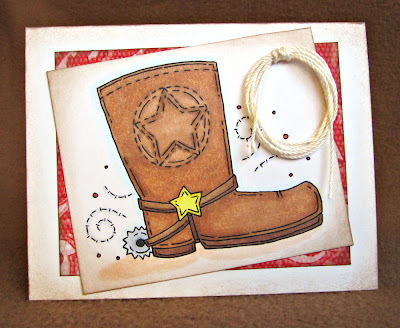 Cute samples, Robin -- love the rope detail on the cowboy card! Terrific sample cards Robin! This sketch is great for the large, beautifully colored images you used. Great cards Robin! Thanks for sharing. Robin - nice job on the samples! I like that they all look appropriate for one of our military men or women to send home to a teenager. For me, the teenage years are a difficult age group to create for. Julie - I hope your birthday is full of happiness! Enjoy your special day! I also have a 29th Birthday coming up this month too. Twenty nice is such a great age, don't you think!! Instead, I'm sticking with YOU and sticking with my extra special 29th Birthday!! Heck, I'll even take 39 and be very happy!! Thanks very much for another great sketch. Wonderful cards, Robin. 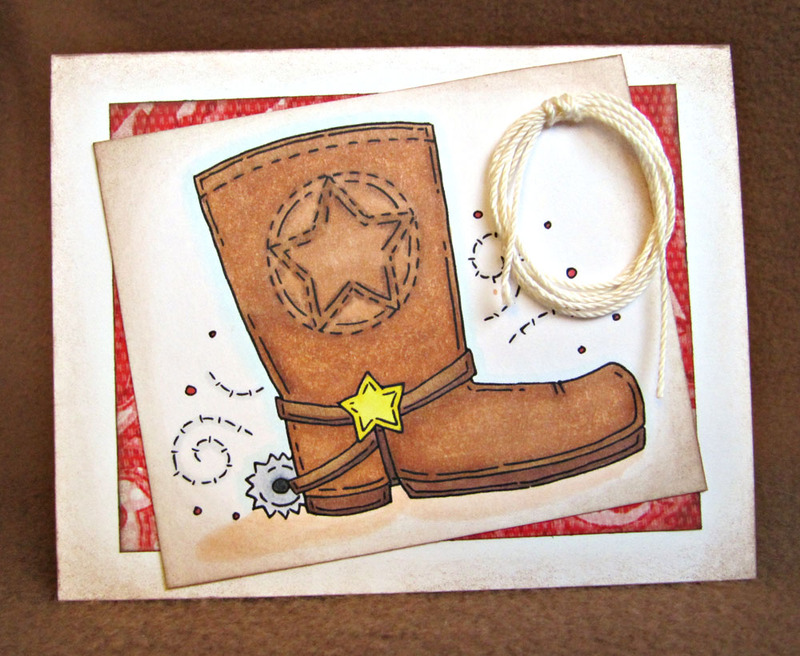 The coloring is great and the rope embellishment on the cowboy card is so clever. Nice sketch and samples. Glad I got to play along. Julie, I hope that you had a fabulous Birthday! I really like that boot card with the little lasso. Great examples - very inspiring! Happy Birthday Julie! I hope you had a fantastic day! Thanks for all you do! Great Sketch challenge - it was tricky getting my mind to stop thinking in straight lines! Thanks for all of the love! 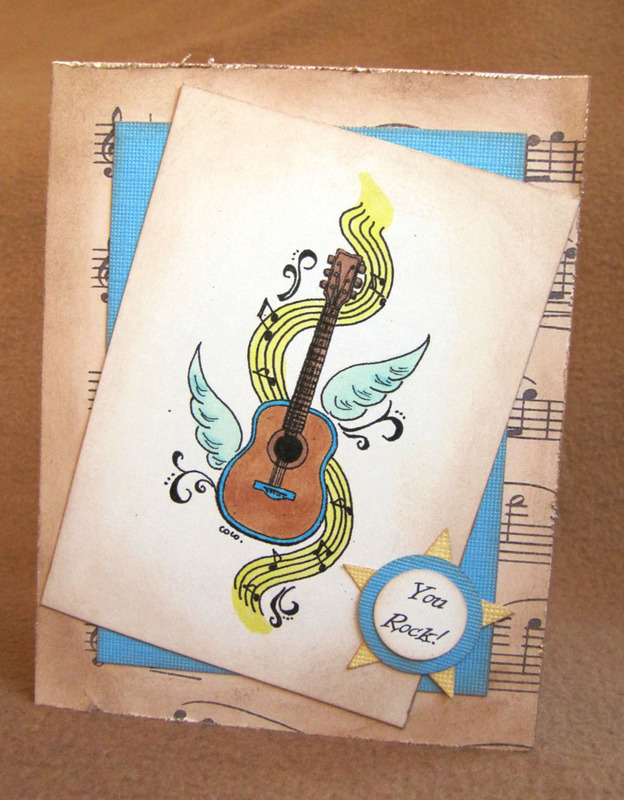 I really try to make cards that have universal appeal.